We are a vibrant community of divers and enthusiasts that desires to help others become acquainted with the world we see, under the surface of the water. If you were asked to describe us a a group, we'd be: welcoming to all who wish to learn how to scuba dive; focused on learning everything we can to become better scuba divers; and, advocates for protecting the waters we love to explore. Mike Smith and Lawrence Ray, owners of Columbia Scuba, are both looking forward to building upon the legacy of Columbia Scuba. As instructors, they have had the wonderful opportunity to work with new students and introduce them to the excitement and adventure of scuba diving. Now as owners, their mission is to give our existing divers a more complete scuba experience with a full class calendar, regular dive fellowship, and opportunities to explore through travel. 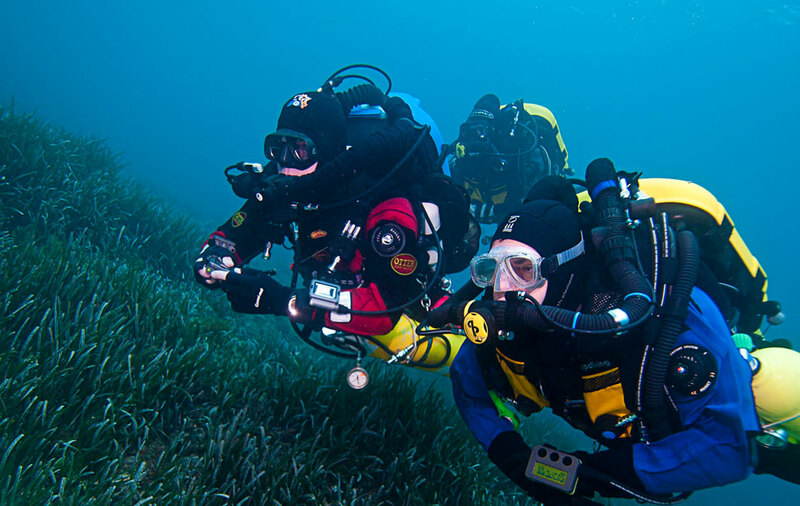 Our greatest joy is our good fortune to work with experienced staff who are passionate about equipping new students to become good scuba divers. We see Columbia Scuba as a family of divers that holds the highest standards possible, friendly service and responsiveness to customers. If you haven't been by the shop in a while, come by and get reacquainted. Through our service and commitment to excellence, we intend to earn our customers' trust, one person at a time. Now, let's go diving!